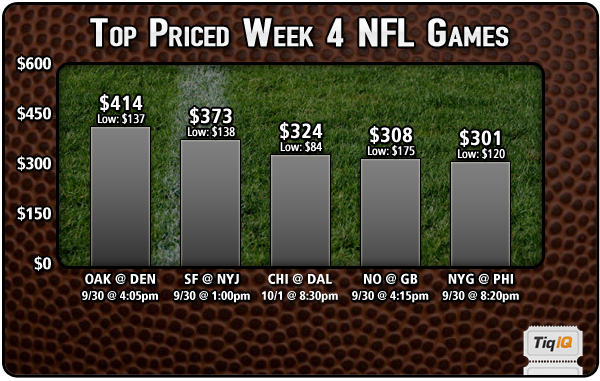 Week six of the NFL is upon us, and three teams have yet to be handed their first loss. 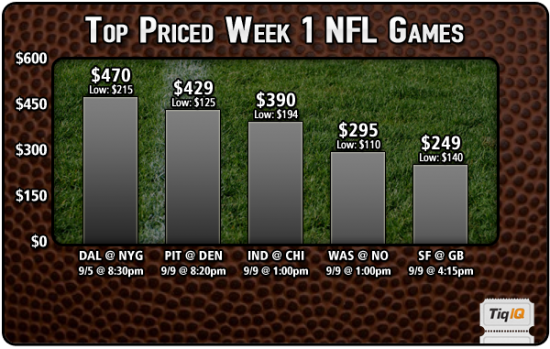 Those teams happen to be the Denver Broncos, New Orleans Saints and Kansas City Chiefs. 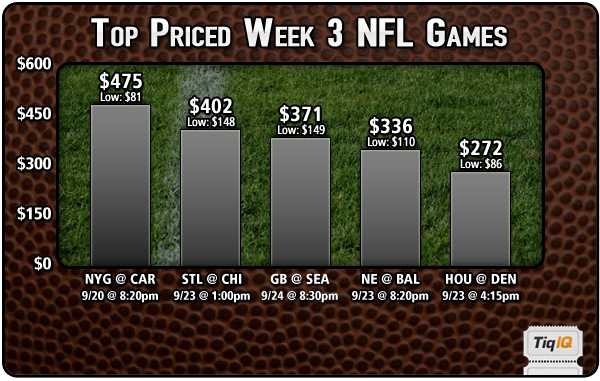 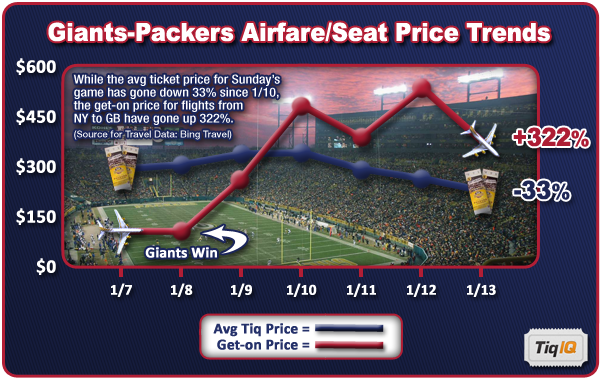 With the start of the 2012 NFL season just hours away, we wanted to begin what will be a weekly post here at the TicketIQ Blog breaking down that week's top 5 priced NFL games.